The Saville Life: Baby Saville #1. Week 22 Update. Sleep: We're out of town on a mission trip (hence the two day late update) and hotel bed sleeping is "eh" lol! Movement: Yes! I'm totally cracking up because she is SUPER active. My app says she is supposed to be sleeping 12-14 hours a day. Heck no. She is active, active, active. Food cravings: naah. Still lovin food, but it feels like it is sitting on the top of my intestines for hours. 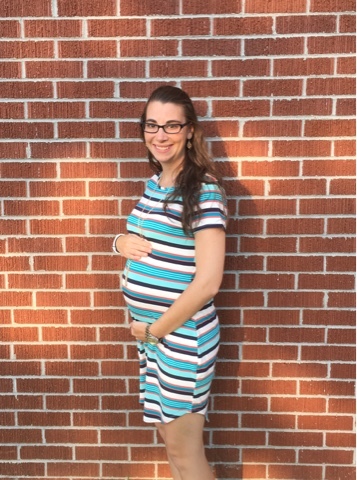 Milestones: Baby Saville is seriously filling out the space. She is still super low, but wiggling around a lot. We're in a growth stage for baby girl and mom's body is rounding out-no more weight gain this past couple of weeks-but definitely some shape changing. Life-wise, We are in Charleston on a mission trip this week! Woot woot. We're super busy, but I so love missions and am enjoying this time here. Looking Forward To: Nursery prep! Yay!